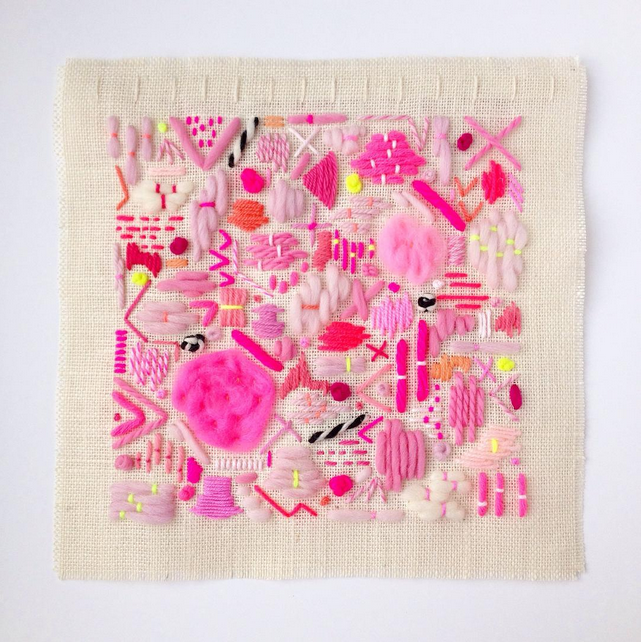 We came across the work of Elizabeth Pawle on Instagram the other day and were struck by her neon and pastel embroidered wall hangings. Using a combination of alpaca wool, merino roving, wood batten, embroidery silks, thread, hessian, yarn, wool, silk and acrylic yarn, Pawle beautifully embroiders scatterings of unique shapes onto a burlap. She lists her pieces on her instagram feed when she creates one and if you're interested, and from what we can see, they seem to go pretty fast. Visit her at her online shop on Etsy or her instagram here. These pieces are so inspiring!